The Rotary Club of Willowdale was chartered on May 1st, 1952, with the approval of Rotary International and became part of District 7070. Rotary is an organization that represents about 1.2 million Rotarians in 30,000 clubs in 162 countries around the world. Our club has over 50 members from many different walks of life. We represent many of the professions and businesses in Willowdale. Women have been encouraged to join our club for a dozen years. Some of our traditions in the Rotary Club of Willowdale include: - Regular attendance at the weekly Thursday lunch meetings is encouraged in order to keep in touch with Rotary friends and Rotary projects. If a member is travelling, he/she can attend any other Rotary club and receive credit for make-up attendance. Many Rotarians take pride in regular attendance. One member of our club has more than fifty-four years of perfect attendance. Over the years the Club has started, sponsored or started many projects both local and international. Some the project descriptions can be found in the "Our Club at Work" article. At nearly every meeting we have a guest speaker that present events happening at their particular organization or on current affairs. 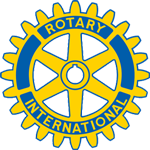 A few months after a new member joins our club, he or she is asked to give a classification talk at a lunch meeting, with a brief summary of his/her life history, vocation and connection to Rotary. It also gives the new member an opportunity to promote and advertise the particular business or industry they are in.